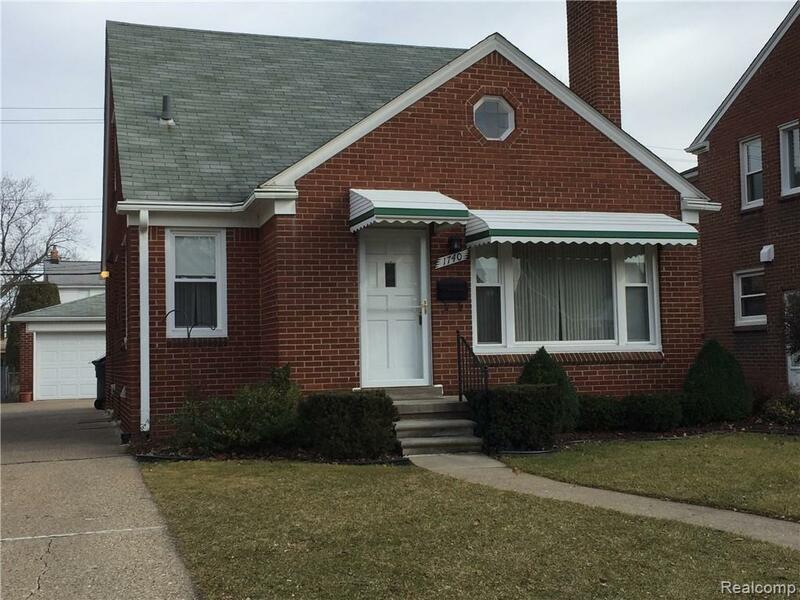 FOR LEASE ,WEST DEARBORN CLEAN AND SPACIOUS DESCRIBES THIS 3 BEDROOM 2 FULL BATH BRICK BUNGALOW. THIS HOME FEATURES A OPEN FLOOR PLAN , KITCHEN ,DINING, AND LIVING ROOM WITH A NATURAL FIREPLACE AND HARDWOOD FLOORS. THE UPPER BEDROOM IS VERY SPACIOUS WITH LOTS OF STORAGE. THE HOME HAS ALL NEW WALLSIDE WINDOWS AND GLASS BLOCK WINDOWS IN THE BASEMENT WITH A FULL BATH. THE YARD IS NICELY LANDSCAPED AND HAS A LARGE 2.5 CAR GARAGE. ALL APPLIANCES ARE INCLUDED. THE LEASE IS $1500 A MONTH WITH A SECURITY DEPOSIT OF $2250..A FULL APPLICATION WITH A CREDIT REPORT IS REQUIRED AND A CREDIT SCORE OF NOT LES THAN 640 . THIS HOME IS EASY TO SHOW .